After his wife died, Father Michael received monastic tonsure with the name Metrophanes in the Zolotnikovskaya Dormition Monastery in 1663. 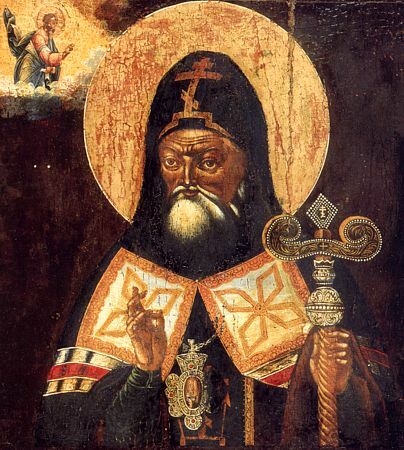 In the Synodikon of the monastery the entry for Saint Metrophanes begins with the words: “Origin of the black clergy Metrophanes of Sidorovo.” After three years of monastic life the hieromonk Metrophanes was chosen igumen of the Saint Cosmas of Yakrom (February 18) monastery. He guided the monastery for ten years, showing himself zealous as its head. By his efforts a church was built here in honor of the Icon of the Savior Not-Made-by-Hands (August 16). Тропарь святителя Митрофана, епископа Воронежского. Кондак святителя Митрофана, епископа Воронежского.